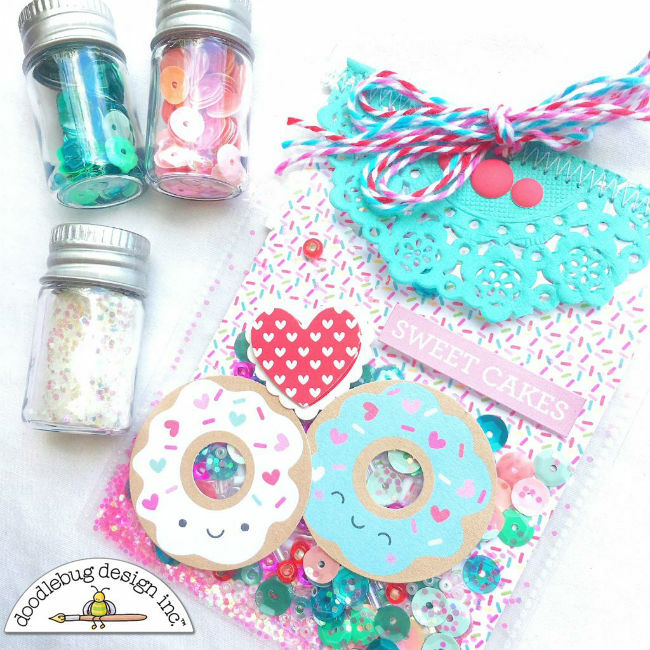 Shaker projects have definitely taken the paper crafting industry by storm as we see more and more creations popping up with little shakers filled with the sweetest ephemera. 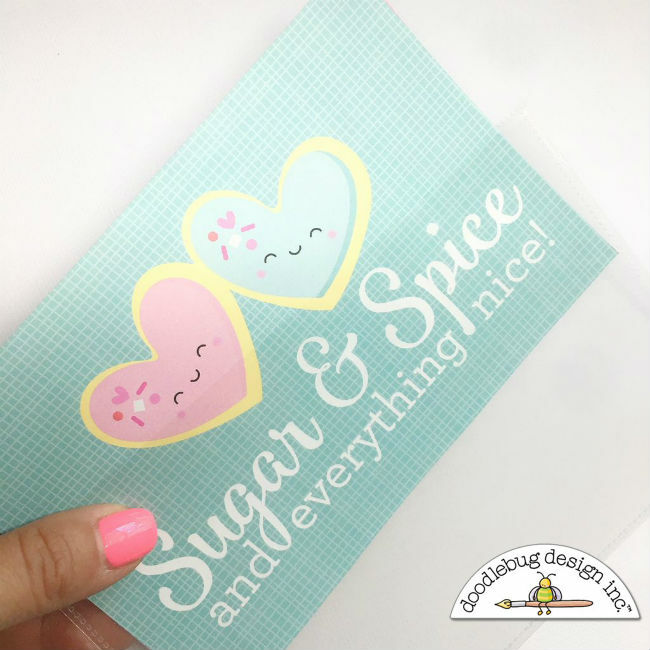 And as I'm so in love with Doodlebug sequins I knew I wanted to make some shaker tags combined with the Cream & Sugar collection and a little touch of glitter too. First, I found some pocket page protectors that I have in my stash. I used both 3 by 4 and 4 by 6 sizes. I cut them apart and stitched any open sides (leaving one side open). Then I slid in the papers. 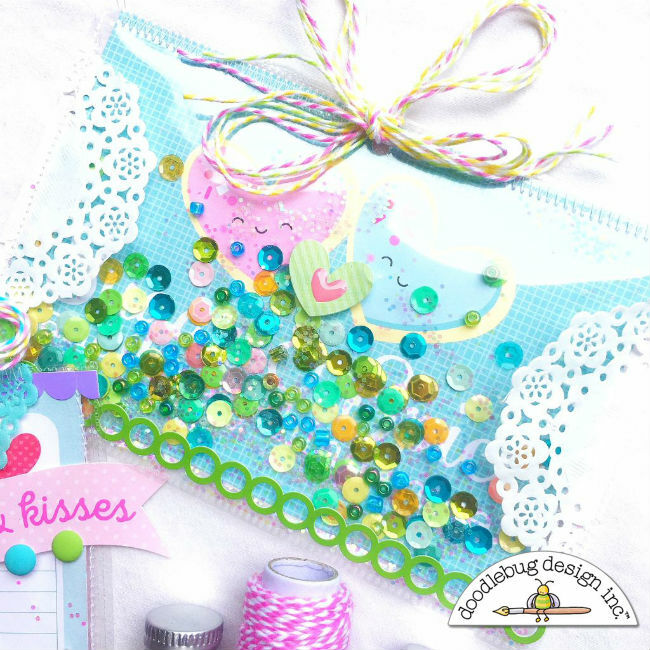 In the past, when I've made shaker cards, I've poured the sequins in right from the bottle. Sometimes they would stick together due to the static. 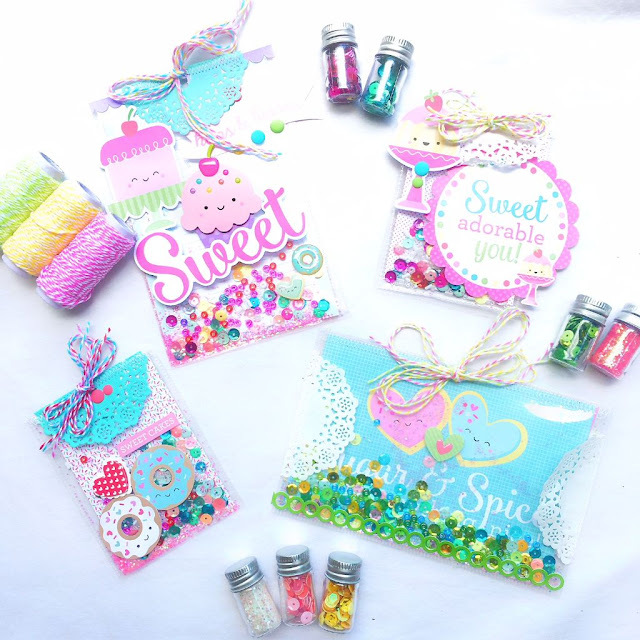 This time I wanted to mix colors and add glitter and seed beads. So, I poured everything into a glass dish and mixed them together before pouring them into the pocket. 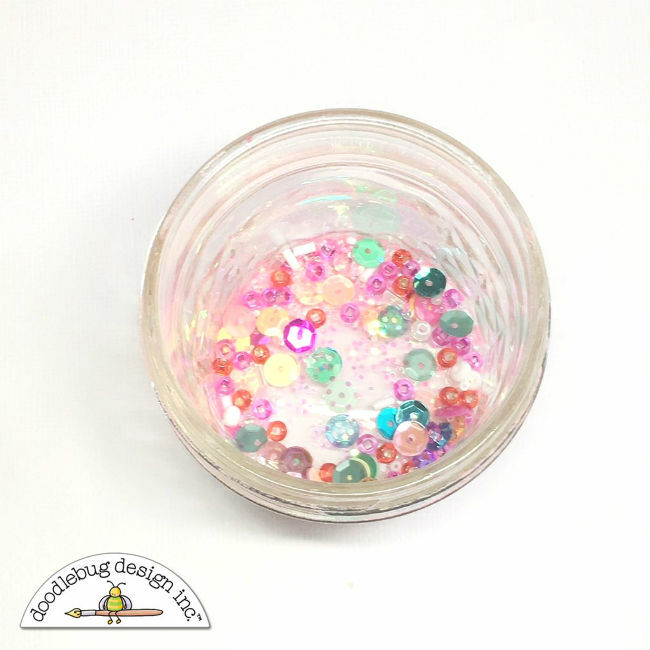 One thing that I found out was to leave the glitter out of the glass bowl. It stuck to the sides. So, I added it directly to the pocket and it mixed with the sequins much better. Once I added the sequin mix, I stitched the final side closed. You can use a fuse tool if you have one. Then, I decorated! 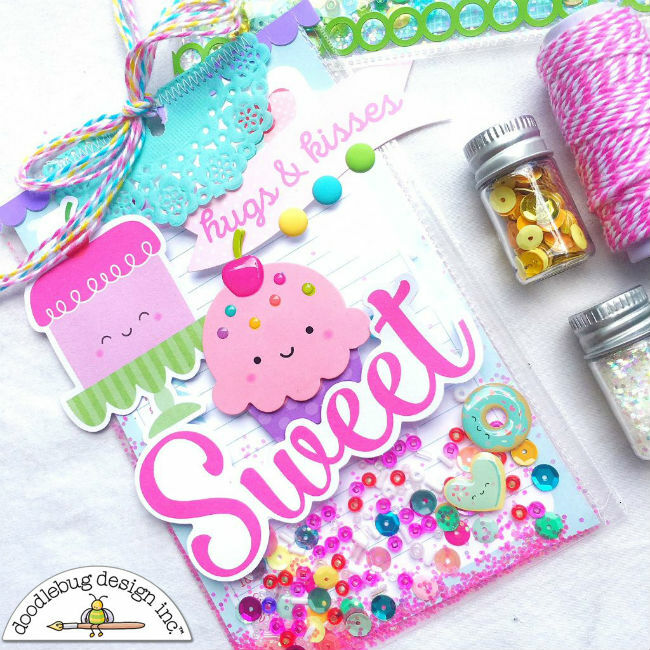 I loved adding the extra stickers, die cuts, enamel dots and other embellishments. The two cards above are 4 by 6. I added some twine to create a bow and stitched folded doilies on them to give them even more dimension. These two cards are 3 by 4. I let the large sticker hang off the side. It gives it a fun look. Just rub it against the carpet to remove the stickiness. Here's a look at all of the cards together. I love how fun and festive they look! Definitely give shaker cards a try. 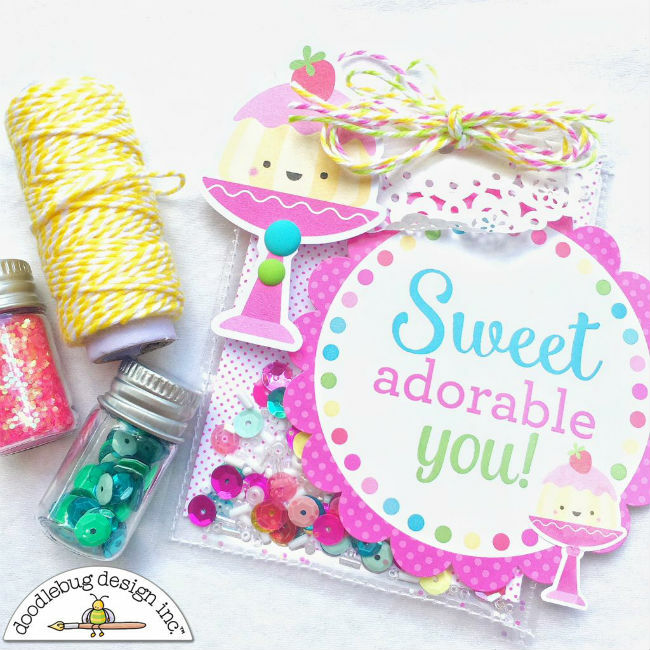 They are really easy and fun to make. Simply amazing 😍😍😍!!! Love this project and I have to give It a chance. So much cuteness and fun happy colours on these projects.